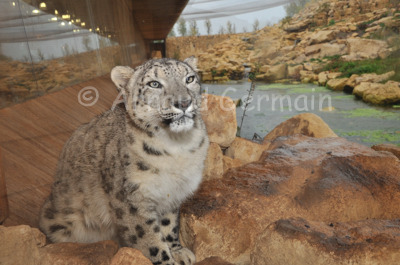 I took this picture of a Snow Leopard in the new Hymalaya centre. The leopard was almost against the window so I could not do anything with my longer lenses. I decided to use my 18mm lens against the window to show the animal in its environment.